Industrial facilities need to be safeguarded against vulnerabilities to cyber attacks. With more industrial systems seeking to get ahead in the Internet of Things (IoT) space, there are more and more risks from online hazards. We speak to Schneider Electric’s Peter Clissold about how companies can better protect themselves. The development of the Internet of Things (IoT) has transformed the industrial process and control sector, with digital connectivity increasingly becoming the requisite path to follow for companies and organisations looking to enhance the performance of their systems and achieve advances in productivity and efficiency. The benefits of IoT are well known – the risks that increased connectivity brings to process and control systems, often less so. Once upon a time, operators and managers of these systems had to confront risks from potential physical damages; now, increasingly, with systems connected to mobile phone apps for monitoring and predictive maintenance, there are abundant vulnerabilities and risks from malware, denial of service (DoS) attacks, remote hackers and other cyber threats. Over the last 20 years, process and control systems have been employing supervisory control and data acquisition (SCADA) connectivity over Ethernet, and now almost every facility has ethernet as a part of their control environment in some way. With connection to ethernet and with the appropriate gateways and routers in place, devices can be accessed across the internet from anywhere. And, as we start to see the proliferation of mobile devices and ever more data being consumed by business systems, we are seeing organisations creating connections from their facilities straight into the cloud to provide capabilities like remote monitoring and analytics. According to Peter Clissold, senior industrial cyber security consultant at Schneider Electric, there are many process and control systems that are not as secure as they could be against the array of threats today. “The simplest is a DoS attack, where unexpected behaviour on the network can disrupt the process control system and lead to a serious increase in downtime,” Clissold said. 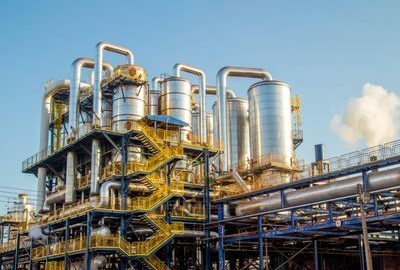 And, in larger facilities, such as refineries and chemical plants, which rely on robust safety systems, a malicious hack could impact on the performance of safety systems, with serious consequences. “Safety risk assessments need to encompass cyber security threats and determine what would happen in the instance of a denial of service attack or someone making unauthorised changes. It is necessary to determine what sort of implications that will have for the overall safety of the facility,” Clissold said. When providing consultation and service in the cyber security space, Schneider Electric takes a holistic view when attempting to solve a customer’s cyber security dilemma: assessing their cyber security environment, looking for vulnerabilities, defining solutions, implementing them and monitoring their performance. But, within that, the company works with its customers to help them understand how to build a cyber security management system that helps support that environment, so that the right kind of cyber security threat-awareness framework is provided to identify issues and determine what processes need to be put in place. Clissold said that organisations, at the executive or management level, had to determine what systems are at higher and lower risks. “The challenge is to try and help those responsible for maintaining these facilities to acknowledge that risks and vulnerabilities apply to more than just the equipment they see in front of them and is in fact all encompassing,” he said. Historically the idea of “defence in depth” comes from military strategy, referring to approaches that delay the advancement of the enemy. Moreover, it refers to strategies that incorporate into their design the awareness that there will be a point in time that any single line of defence can be compromised. In other words, there have to be several barriers to keep threats out. Clissold said that companies relying on a single barrier make themselves especially vulnerable to cyber threats. “If that barrier is compromised, your whole environment is compromised. Defence in depth in relation to cyber security means going through each of level of defence within your industrial environment, allowing an organisation to assess security requirements at each level,” he said. For example, if a cyber-attacker breaks through a firewall and gets into the production environment, in such an instance a system must have measures in place so that the attacker can’t just log on to the nearest SCADA computer that they find in that environment. Other layers of defence can include managing and maintaining security and privileged access control within that environment or segmentation of the network, so that when an attack compromises the SCADA network, it won’t also compromise the PLC network or IO network. Clissold explained that people who transition from IT to OT cyber security can look to industry standards such as IEC 62443 which are guidelines and standards that help organisations make a start in addressing industrial cyber security. This is an international standard, and a good place for professionals to see what measures need to be put in place for securing industrial systems. Schneider Electric is now expanding its cyber security offering, recently forming a partnership with Nozomi Networks. “Nozomi has quite an interesting approach to addressing cyber security, in that they look at the network traffic that is flowing inside network segments, and, with control systems being fairly static in nature, they are very quickly able to develop a profile of what is communicating on the network, and what the nature of those communications are,” Clissold said. “So, within that environment, we are able to get a full understanding of the network traffic; we are able to identify any traffic that is not supposed to be there and understand the hygiene of the network. Clissold said that organisations needed to assess the vulnerability of their devices and each of their systems, setting a measure of how much effort an organisation needs to put into protecting that environment. This means that, as new threats and vulnerabilities emerge, organisations ought to be reassessing and recalculating.